Back in the mid 2000’s, Sole Collector held some of the greatest events in the history of sneaker events. Before the buy, sell and trade concept, SC held competitions on best display, best customs and a few other contests within the event. The heavy hitters of the sneaker game came with gamma rays of straight heat no one had ever seen before. 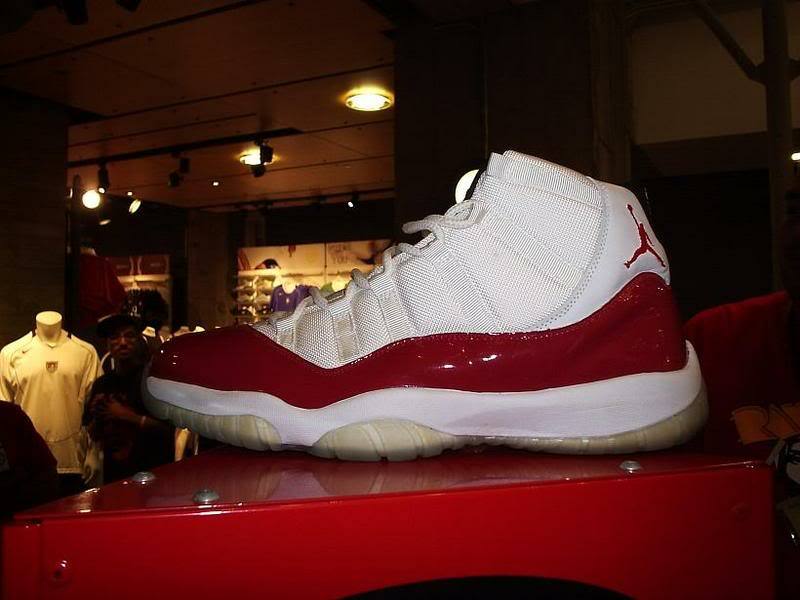 Here we have a photo of an Air Jordan XI (11) White – Red Custom by KVN that was taken at a Sole Collector event sometime in 2005-2006. Would you cop if these dropped? Bigger photo after the jump! These would be an instant cop! Those would def get copped instantly! OH YES!!! I have the lows but these would be tha ish!!! if made these would probably be my favorite pair of XI's. .
put some clear red soles on em n call it a day!